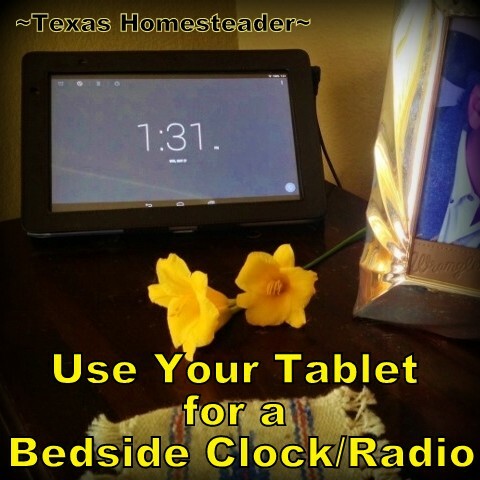 Homestead Hack: Clock Radio - Use What You've Got! Homestead Hack: Clock Radio – Use What You’ve Got! On our nightstand RancherMan & I had one of those clock radios that will also charge your cell phone. And while it worked great for quite a while as a clock radio we don’t keep our cell phones in our bedrooms.. It’s an off-limits place for cell phones with all the push notifications that might disrupt a good night’s sleep. As the clock radio unit got older it became more & more difficult to get the dial exactly on the station where the radio station signal was good & crisp. We decided perhaps we needed to upgrade to a digital dial to make getting to the radio station a little easier. But when we were pricing clock radios with digital dials we were surprised that they were kinda pricey. Then we put our heads together and came up with the PERFECT solution. Use whatcha got is what I always say! 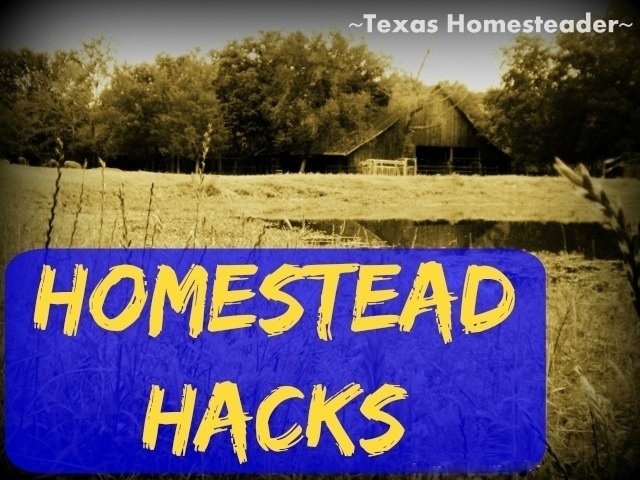 Check out this Homestead Hack that worked so well for us. I saw an advertisement recently for a handy-dandy docking station that looked like a tiny bedside clock. You slide your iPhone into the case & it charges the phone and makes your phone display the time. We considered it briefly. But although it was kinda cutesy I was really interested in using what we already had without buying something new if at all possible. Eureka! We each own tablets and they’re tucked away charging in the office anyway. Why not bring them into the bedroom to charge and at the same time use them for an alarm/clock/radio? There’s already a clock app on our tablets so we just touch the app button to access the clock. Using the nighttime feature causes the digital time stamp move slightly when each minute passes to protect the screen and to also dim the display. But we like to change the tablet setting itself to be dim as well so it lets out very little light by our bed overnight. There’s also an alarm feature on our clock app so we each have our own tablet on our nightstands. But what about falling to sleep with the radio? Simple fix – RancherMan downloaded onto his tablet the app for the local radio station that we love and it plays softly for us overnight. When we need our tablets for browsing or for taking to class we simply disconnect the charger cord & return the brightness setting to normal. I love that we’ve not only avoided buying a specialty item to suite our needs but have also more fully utilized something we already own & love – our tablets. This entry was posted in Blog Posts and tagged Environment, Frugality, Homestead Hacks on July 22, 2015 by Texas Homesteader. That does makes a nice looking alarm clock. That’s basically what I do with my phone, but I still need Hubby to ditch his alarm clock. He has it set for the radio in the morning and it’s always staticy. I love the idea of using what we already have by re-purposing or reorganizing. Great find! I tried for many years to keep a little alarm clock in my travel bag but between dead batteries and banging around they just never seemed to last very long or be very reliable. Now I use my Ipad as a travel alarm. Nice to wake up to chirping crickets and to have an instant on clock face with big enough numbers that I don’t have to reach for my glasses first. Stopping in from Nifty Thrifty Sundays – Interesting idea. I feel like one of the only people who doesn’t own a tablet and sticks to my laptop! I do use my cell for a clock though. I like the concept of using what you already have. I was trying to think how this would work for us— we just use our phones at night with the do not disturb setting. So I just now thought how I’ve used what I have technology… I don’t have a SD SLOT on my computer… Not the old one or the new one. But someone had given me a digital picture frame– which I hardly ever used. I got the proper cords and tether it to my computer monitor pop in the SD card and ta-dah! I’m able to transfer pictures! Using what you have is just working smarter not harder!